Miss 6’s big birthday party is quickly approaching so today we have been busy making up the party favors! 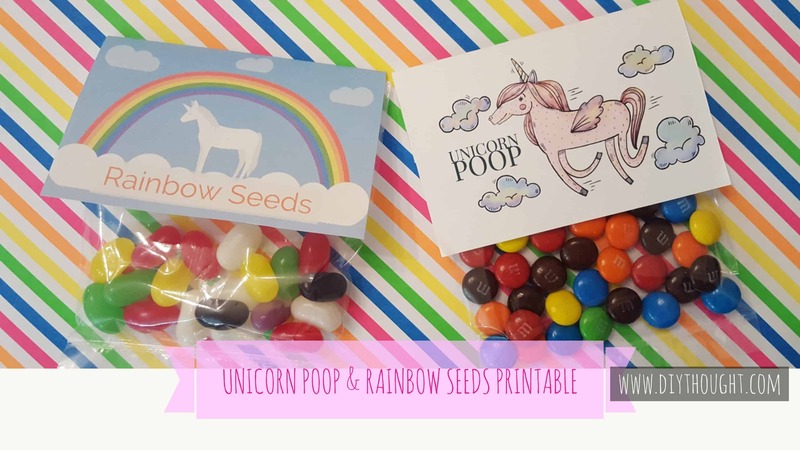 Wanting something to match the party theme of unicorns and rainbows we decided to make this rainbow seeds & unicorn poop party favor printable for our own labeled party favor bags. These bags are easy to put together and are super cute! Party favors, to do them or not to do them that is the question. This year we are tieing our party favors into a rock hunt game so I guess you could say that they are as much a party prize as a party favor. 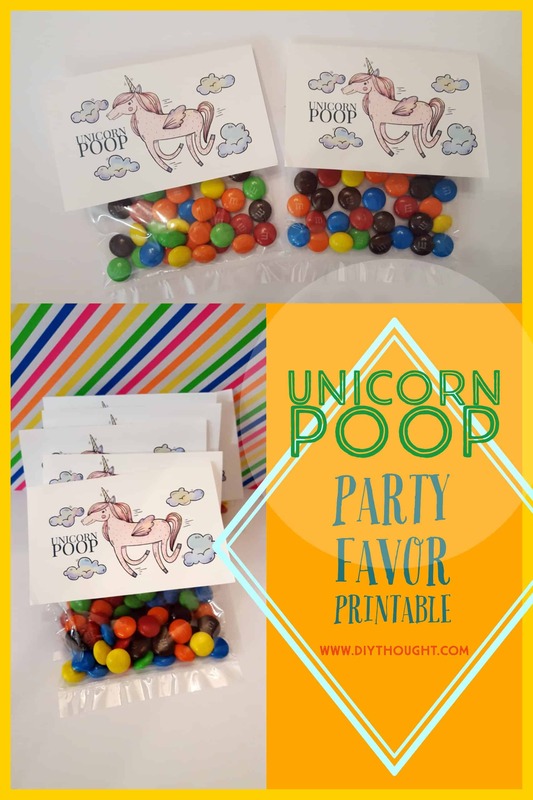 No matter how you give these party favors out will be enjoyed. We couldn’t decide which we liked better so have gone for both designs. They might not match but wheres the fun in that! 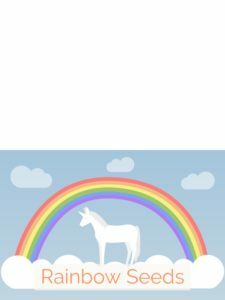 Decide which you like best, click on the link below and print. We filled clear bags with jellybeans and m&m’s, taped the bags closed and attached the cut printables. To attach the labels simply fold and tape them on, easy! Below are our starting images as well as the printable PDF files. 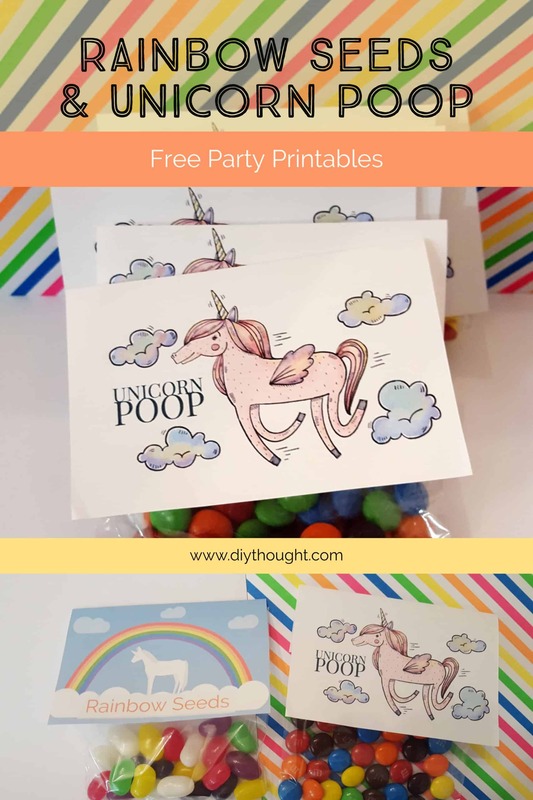 Each PDF comes with 6 printables to a page making it super easy to print and cut. Just remember to leave space above the image so it can be folded and taped neatly on the back on the bag. 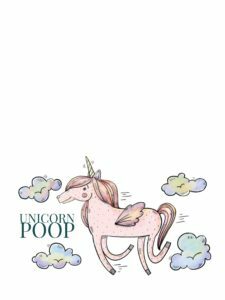 Click here to get the Unicorn Poop Printable. 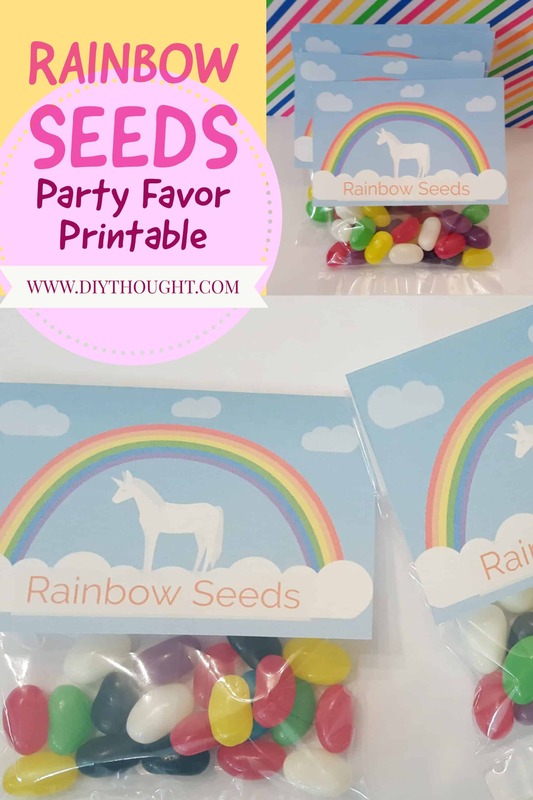 Click here to get the Rainbow Seeds Printable.